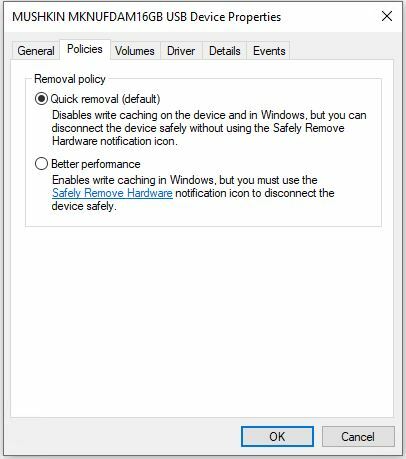 Historically, prior Windows releases (up through and including 1803) have defaulted to require use of the “Safely remove” notification panel widget to properly disengage external USB storage devices, like flash drives. Starting with the current release, that is no longer required. You can simply pop those little suckers out whenever you feel like it (though it’s still probably a bad thing to interrupt active file transfers that may be underway). In the past, MS set this default to favor performance over quick removal. Apparently, the upcoming change comes from their recognition that most people don’t bother to use Safely remove even though they should. I shot this on a current Win10 PC (Build 17763.404), so the new “Quick removal (default)” element is already selected. If you want to get faster performance out of your USB attached storage devices, you can change it back to the old default (“Better performance”) from the new one. If you do that, though, you really should remember to use the Safely remove widget from the notification tray caret. 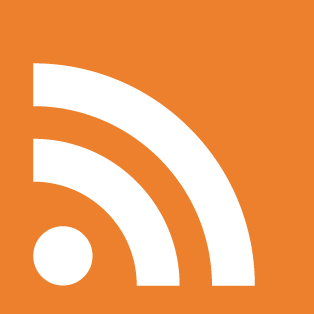 That’s how you instruct Windows to flush the write buffer before making the disconnect, thereby ensuring that all pending writes are enacted before unhooking the media. This will make a difference on high-speed, SSD- or hard disk-based USB devices. You probably won’t notice much, if any, speed-up on conventional USB flash devices, though. I find it interesting that this change has been in effect since 1809 made its initial debut last November. I just found out about this recently, thanks to Martin Brinkmann over at Ghacks.net. He cites to an MS Windows Support note from April 3, 2019, that documents this change. Somehow those of us who try to pay attention to such things missed this completely. So now, both you and I know! Nochmals vielen Dank, Herr Brinkmann! I have a number of USB 3 drive enclosures that accommodate M.2 SATA SSD drives here in my office. Just for grins I plugged the one with a Samsung 850 EVO 512 GB drive into the USB 3 port on the X1 Carbon Extreme. Here’s a screencap of what I got from CrystalDiskMark when Quick removal was selected (left side below) and when Better performance was selected instead. As you’d expect, the write side of the output jumps way up! Quick removal left; Better Performance right; write speeds definitely jump! To me this confirms beyond a shadow of a doubt that if you do have a fast USB attached device and file transfer speed matters to you (or your work), it’s worth switching from the default Quick removal to the faster-writing Better performance option.